Phew. If you haven't noticed, summer is here. Not the way summer is here on June 21st. Not the way summer is here on the last day of school. Summer is here like it's been pushing high 90s every day this week and not a cloud has come to cool us off. Forgive me, but due to the heat our regular scheduled programming is going to be interrupted by a completely different recipe. In this weather, I have absolutely no desire to write about anything vaguely warm. 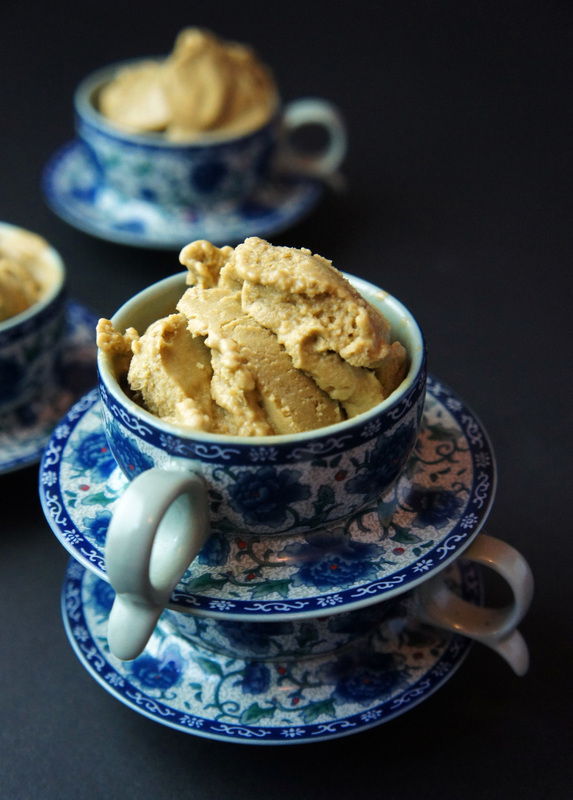 As a result, I'm skipping the post I had planned on publishing (a recipe for Swedish Meatballs in Paleo Mushroom Gravy) for this: 3-ingredient Matcha Ice Cream. If it's as hot where you are as it is here, I think you'll understand. It's easy and fast. It's sweet. You don't have to touch the oven or the stove. It's a green tea pick-me-up in your afternoon. This particular ratio of coconut milk to banana made for one of my creamiest paleo ice creams yet. What's more, it's egg-free, vegan, and AIP-friendly, so you can share it with pretty much anyone! Not that you'll want to…the two of us polished off the entire bowl in one day! Place all ingredients in the jar of a blender and blend on high until smooth. 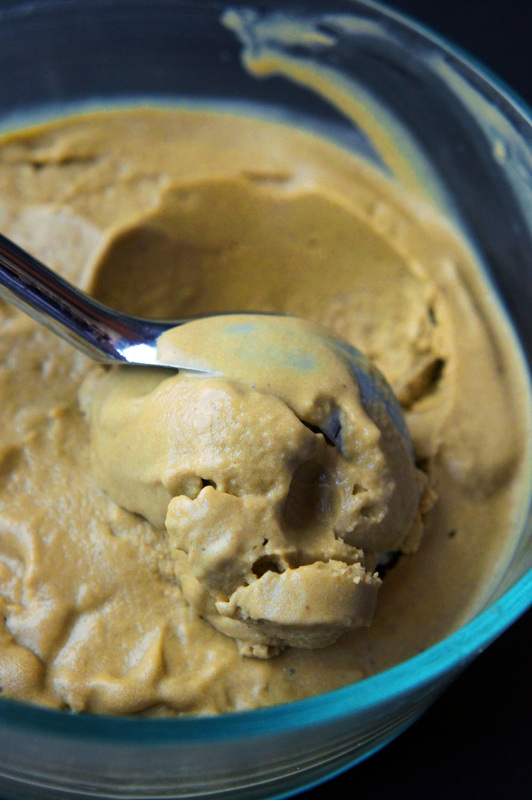 Pour the mixture into an ice cream maker and follow the instructions for your ice cream maker. Once the ice cream maker is done, eat on the spot (or scoop the ice cream into a air-tight container and freeze for later enjoyment). • Use frozen bananas and cut the coconut milk in half. Blend and eat! It will be more like soft serve and not quite as rich, but is a quick-fix.